Lovin' My Job in Bossier: Kurt Nixon, Main Squeeze Juice Co.
Bossier is home to a slew of people and businesses that are striving to make it a better place. One of those businesses is a new quick serve health option and the owner believes it will make Bossier healthier. Kurt Nixon is the owner of the Bossier City Main Squeeze Juice Co. franchise. The Louisiana-founded juice and smoothie bar franchise features a nutritionist-designed, superfood-inspired menu offering a healthy alternative to fast food. 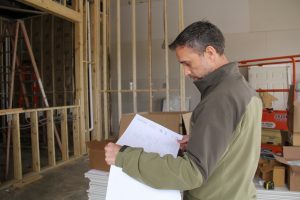 Born and raised in Bossier, the 44-year-old husband and father of five currently owns and operates Nixon Engineering, a local engineering and survey business. He wanted to take on another business after looking into diversifying. As a huge New Orleans Saints fan, Kurt said he came across an article with Saints player Marcus Colston talking about his new juice and smoothie venture. That led him to read up on Main Squeeze and he started talking to the company. He and his wife made a trip to the Houston store to try out the product and meet the CEO. He said the product made up his mind for him. Kurt notes that a 16 oz. bottle of juice from Main Squeeze is worth 7 lbs. of vegetables. He says there’s no dairy, meat protein or added sugars. “The juices we have are really good, it’s not just that I can tolerate it because it’s healthy,” Kurt said. In fact, he said that he enjoys the taste so much he can’t wait to share it with the rest of Bossier. Main Squeeze is a New Orleans-based firm. The organization started in 2017 and the Bossier location is one of 30 expected to open over the next year. Kurt said it’s neat to be on the front end of that and still be able to seek guidance from the CEO. “Right now, if I have a question I can call the CEO and ask him about it. You can have that dialogue and they give you the option to be able to do what will work best in Bossier,” he said. Kurt notes that he is trying to build a family hospitality culture at the Bossier City Main Squeeze Juice Co. 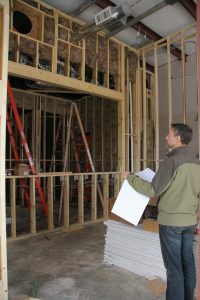 He wants all his customers to feel welcomed and recognized, but still have prompt service and quick turnaround. While getting his store off the ground, Kurt noted that his research says it should have opened across the river. But he said that “everything goes to Shreveport first” and he wanted to bring something to his home. Born on Barksdale Air Force Base, Kurt lived in Bossier for most of life and said after graduating from Louisiana Tech University that he never planned to come back to Bossier. But “God had other plans” and now he’s helping improve his home one smoothie at a time. “I thought about going ‘somewhere cooler’ because, at the time, Bossier was a bedroom community of Shreveport. But God had other plans and it’s been great to see the city grow and take on a different character,” said Kurt. 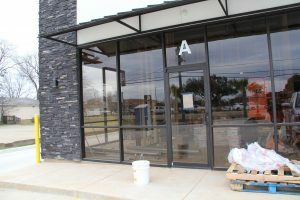 Main Squeeze is set to open at 2114 Airline Dr. sometime in March. Want to read more about people that are lovin’ their job in Bossier? Check out last month’s blog on Beonica Frazier of BPCC.